The Prime Minister’s chief of staff, Keith Schembri, holds shares in a film company, official records show, despite Joseph Muscat telling Parliament he had no commercial interests in the film industry. Opposition good governance spokesman Simon Busuttil received a curt “no” in Parliament last week from the Prime Minister when he asked whether Mr Schembri had any commercial interest in the film sector or film studios, directly or indirectly. Asked about the matter, a spokesman for the Office of the Prime Minister defended Dr Muscat’s statement, saying the company in question had not traded since 2008. “The company was not put into liquidation, despite various attempts by Mr Schembri, because of lack of agreement from one shareholder to do so. Thus Mr Schembri has no commercial interests in film studios or film production,” the spokesman said. Mr Schembri owns 50 per cent of the shares in Cinebiss, according to the Malta Financial Services Authority register. The memorandum of association describes the main objective of Cinebiss as motion picture production and distribution, as well as operating motion picture studios. Another 25 per cent of the shares in Cinebiss are held by Oliver Mallia, who headed the Malta Film Commission between 2002 and 2007. According to an online description of Cinebiss, the company catered for the €50 million production of the film Agora in Malta a year after Mr Mallia resigned from the commission. The balance of Cinebiss shares are held by Spira Trading, in which contractor Pierre Sladden is involved. Spira Trading used to own shares in Grigal Films, together with Mr Schembri’s Kasco Holdings and the former head of the Chogm taskforce, Phyllis Muscat. Grigal Films was struck off the register in 2016. In a Tweet last Wednesday, Dr Busuttil accused Dr Muscat of making “another false statement”. He said Mr Schembri had a commercial interest in the film industry, because his wife owned the company Temple Concierge, which was listed on the Malta Film Commission website. According to Temple Concierge’s own website, the Malta Film Commission is a “partner” of the company. Other government-linked entities listed as partners to Temple Concierge are the Malta Gaming Authority and the Valletta 18 Foundation. Until a few months ago, Temple Concierge openly advertised a referral service for the cash-for-passports scheme. The reference to the referral service was removed soon after it was flagged in an article by The Malta Independent on Sunday. 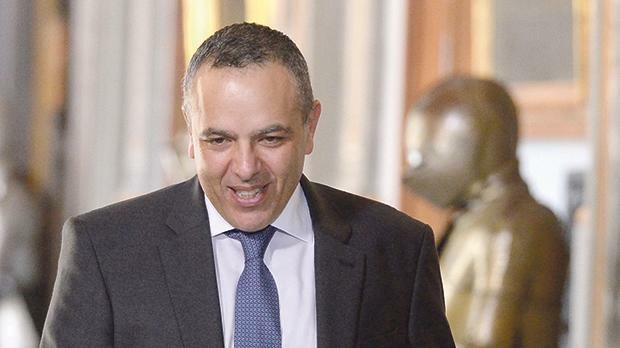 Mr Schembri is the subject of a magisterial inquiry after a leaked report by the State’s anti-money-laundering agency said there was suspicion he took a €100,000 kickback on passport sales from his accountant and friend Brian Tonna. Both Mr Schembri and Mr Tonna, the managing partner of Nexia BT, deny the payment of a kickback and insist the money settled a loan Mr Schembri extended to Mr Tonna.